Bogotá, 9 November 2018 (IICA). The development of and adherence to institutional frameworks are key components for territorial development, which must support the development and well-being of rural dwellers in order to mitigate their migration to cities. This was one of the observations made by Santiago Hardie, Secretary of Family Farming at the Secretariat of Agro-industry of Argentina, during the XII International Forum on Territorial Development, in which he participated as a speaker. 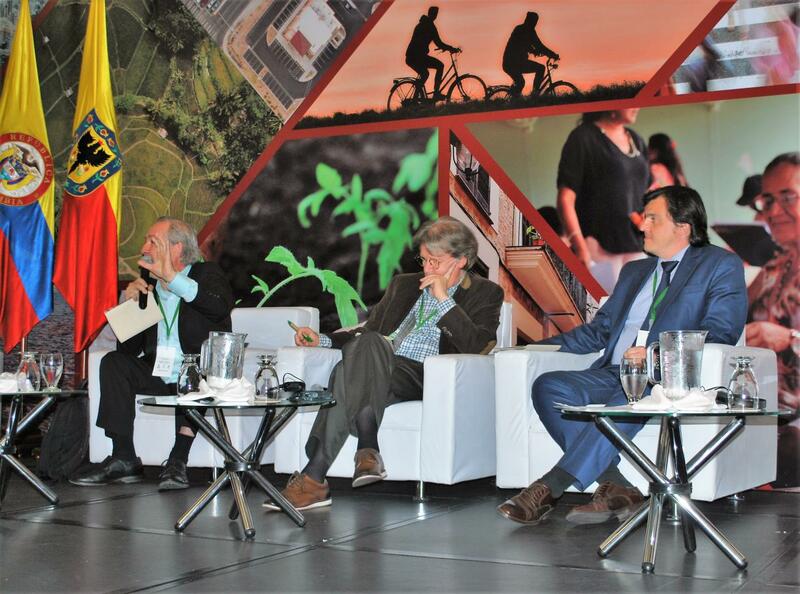 The event, which was held in Bogotá and organized by IICA, brought together government officials, senior staff of international organizations, representatives of the academic sector and specialists from a dozen nations. “It is important to understand that, no matter what, territorial development must involve real, concrete human development; institutional frameworks play a big role in this regard. Territorial development can become the tool that will enable us to slow down and, ideally, halt this migration process from rural areas to cities,” explained Hardie. “Institutions represent the starting point for a true development process,” he added. Taking place for the first time in Colombia, the event has been held on 11 previous occasions in Brazil. It will seek to develop concrete proposals to successfully tackle the challenges of rural development with a territorial focus, and also to expand knowledge networks in Latin America. Hardie, who has overseen Argentina’s family farming policies since late 2015, also underscored the need for territorial development to adopt a productive approach, and explained that it is essential to generate wealth within rural areas in order to foster rural retention. In this regard, he advocated for the development of policies aimed at ensuring that territorial and human development go hand-in-hand. “As long as rural dwellers lack access to health, education, justice, safety and peace, which are values of an institutional nature, it is highly unlikely that we will be able to compete with the city lights,” he stated. He also called on participants to prevent migrations from the countryside to the city whenever they do not involve a specific project. “Migrants can receive a brutal welcome and become marginalized in cities, which is even costlier for States. Avoiding this situation on time is a smart move,” he added. Hardie, who forms part of President Mauricio Macri’s government, stated that Argentina faces “the great challenge of readopting a land occupation project.” He noted that regional economies within the South American country are experiencing a considerable deficit in terms of infrastructure, which results in the loss of competitiveness. “One of the great objectives that President Macri has set out to achieve is settling our debt to the countryside. We will begin with the northern and northeast provinces, which will require a substantial infrastructure development plan in order to strengthen the population’s connectivity and to be able to sell products generated in those regions at competitive prices,” stated Hardie. He also described government plans that are currently underway, such as the official program Barrio Adentro, which seek to improve services in rural areas, including the delivery of documents, vaccination services and transactions to acquire pension plans. Territorial development would also require efforts aimed at reducing bureaucracy, given that the State’s requirements often “put producers up against the wall.” However, Hardie explained that “great progress will take place” as soon as the State eliminates obstacles and clears the way. Lastly, he underscored the need to develop a new institutional framework by increasing the financial autonomy of provinces in Argentina. “Our great challenge now is working together with the provinces and municipalities to outline a territorial development plan for the country that is inclusive and fosters human development,” he concluded.